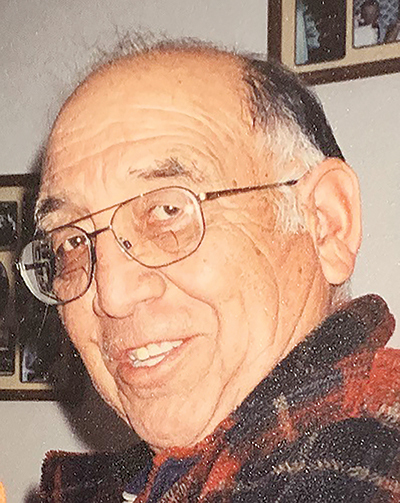 Ruel Casalez, 84, of Winnemucca passed away on January 29, 2019 at home shortly after being diagnosed with cancer. Ruel was born in Winnemucca on March 6, 1934 to Inocencio and Leonor Silva Casalez. He was married to Eleanor Casalez for approximately twenty years until her death. Ruel lived in Winnemucca, NV his entire life except for the four years he served in the United States Air Force. He graduated from Humboldt County High School. He worked for McBride Shell for a short time until he became a postal carrier for the U.S. Postal Service. He retired after thirty three years of service. In his early years he enjoyed hunting and fishing and this continued into his adult years when he taught his children to hunt and fish. In his later years he enjoyed family dinners with his son’s families. He found pleasure in watching his grandchildren play sports. Ruel is survived by his sons Patrick (Kristina) and Jeffrey (JoAnn) Casalez; grandchildren Seth, Brayden, Trevin, Jordan, Michael, Jayce, Marcus and Matthew Casalez; brother Eufemio Casalez; nephews Mike, Brian, Robert, Kurt and Mark Casalez; nieces Chrissy, Lee Ann, Trace (Dan) Mcadoo; many other nieces and nephews. He was preceded in death by his wife Eleanor Casalez; parents Inocencio and Leonor Casalez; brothers Chris, Jim and David Casalez; nephews Raymond and Daniel Casalez; sister in law Gloria Casalez. In lieu of flowers please make a donation to Guiding Light Hospice 1250 Lamoille HWY Suite 309, Elko NV 89801. The family would like to send a special thanks to Humboldt General Hospital, RENOWN Regional Medical Center and Guiding Light Hospice. Especially Thea, Cede and Olyna. Funeral services will be held Friday February 8, 2019 at 10:00 am at the Christlife Family Ministries located at 38 E Winnemucca Blvd, Winnemucca, NV.